Assemble at the Cardigan Fields Leisure Complex Car Park, behind McDonalds from 6pm. Leaving Cardigan Fields LS4 2GD at 6.30 prompt. 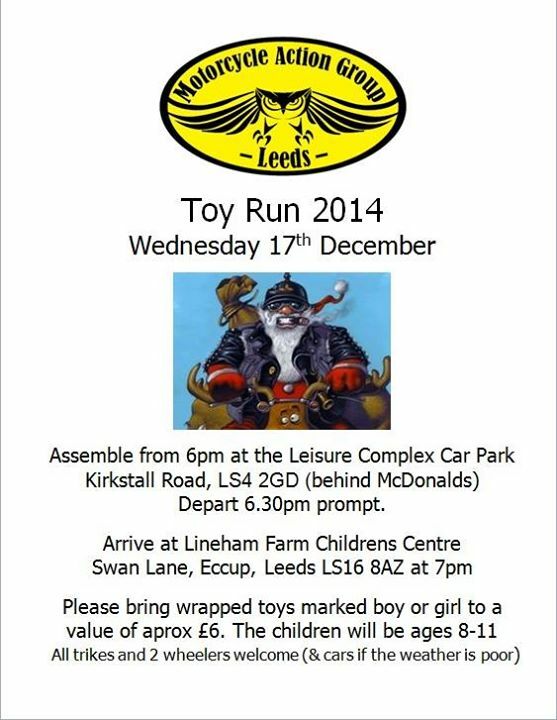 Please bring wrapped toys marked boy or girl to a value of approx £6. Bring as many as you like! All trikes and 2 wheelers welcome, (and cars if the weather is poor).